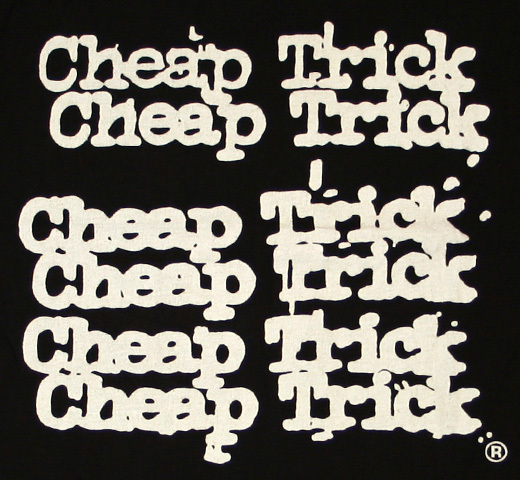 One of my favorite bands is Cheap Trick. I saw them exactly one million years ago and then I saw them again just a couple of years ago and they blew me away in both eras. The only part of the more recent performance that I wished was different was if Robin Zander and Tom Petersson (the cute ones) still looked young and hot instead of weathered and mildly hot. But energy-wise and rockingness-wise, they were 100% on. I had a ridiculous amount of gems to choose from for today’s post , but with Cheap Trick, I find I always come back to “Everything Works If You Let It.” It’s got all the power pop rockin’ rock that you’d expect and it also has one of the most important messages ever for someone like me. Or for everyone, for that matter. Everything will work out if you let it. Seriously, it’s such a good mindset to have. And I’ll share a little secret with you. The words also make for a great argument when trying to convince someone in your life to just let things be, relax. You just have to tread that fine line between truism and crunchy, new-age truism, but it will be hard for someone to dispute the fact that everything really does work if you let it. But back to Cheap Trick, who are anything but new-age. Let’s make this your theme song for the weekend. If you feel stressed about anything or if you’re worried about anything, play this song. Report back to me on Monday. Tom is still smoking hot, in my opinion.